An updated review of Dinnerly! This post is not sponsored, but it does contain affiliate links, and I received a free box for review purposes. This giveaway is now closed, but you can sign up to give Dinnerly a try right here! Last fall, I tried Dinnerly, a cook-your-own meal service like Hello Fresh and Blue Apron but for half the price. At that time, Dinnerly was pretty new, and their delivery area was a little bit limited. Dinnerly now delivers to most of California, Washington, Oregon, Nevada, Utah, Idaho, Texas, Illinois, Iowa, Wisconsin, Georgia, Colorado, Oklahoma, Louisiana, Arkansas, Indiana, Kentucky, Tennessee, North Carolina, Virginia, New York, Maryland, Connecticut, New Jersey, Massachusetts, Rhode Island, Pennsylvania, D.C., and Florida! So, odds are good that you can now get Dinnerly where you live. How is Dinnerly different from other meal services? In case you missed my post last year, a quick recap: Dinnerly offers meals for $4.99/person, as opposed to the usual $9.99 price point for other similar services. You do have to pay $8.99 for shipping, but the total price of a Dinnerly box is still far lower than the competitors. Can you customize a Dinnerly box? Dinnerly now offers six recipes per week, and you can choose three of them. 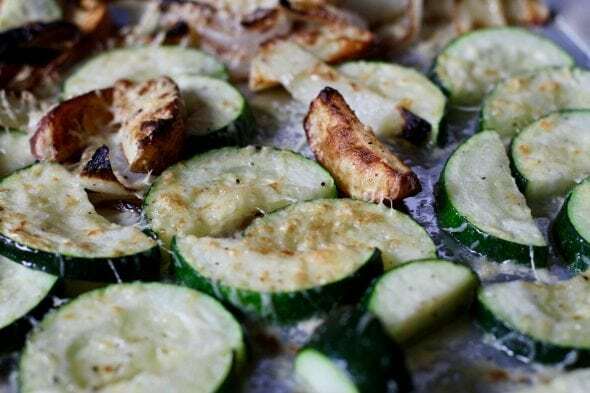 There are often vegetarian options available, and some meals don’t have gluten, but if you have serious food sensitivities, Dinnerly is probably not for you. Am I obligated to get a box each week? Nope! Dinnerly is a subscription service, but you can skip weeks whenever you want. So, if you’re out of town or you just don’t like any of the recipes for an upcoming week, you can do a skip. Will Dinnerly save me money? Compared to other meal kit services, yes! A three-meal box for two people costs $29.94 plus $8.99 shipping, for a total of $38.93. 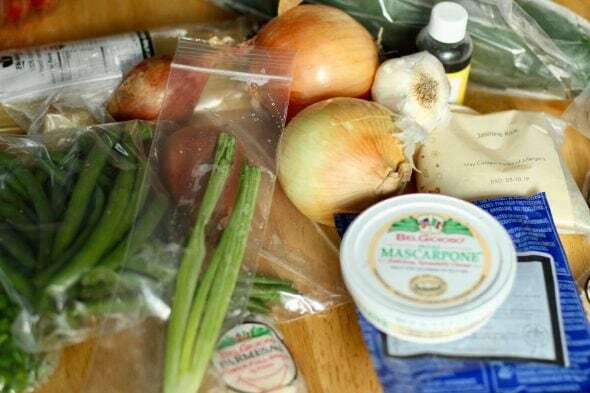 A typical meal kit, even with free shipping, will cost $59.94, which is $21 more. Compared to buying ingredients at the store, no, Dinnerly will not save you money. Buying ingredients and cooking them at home will pretty much always be the cheapest way to feed yourself. 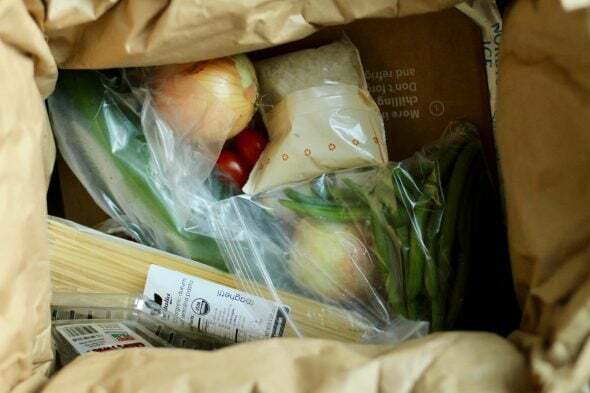 However, if you are a single person and you struggle with grocery shopping because you only need small amounts of ingredients, Dinnerly could save you money. You receive only the amount of fresh produce, cheese, and meat you need for your meals, which could help reduce food waste and overbuying. One other cost consideration is that in my experience, the Dinnerly meals feed more people than promised. So if your family has appetites on the smaller side of things like mine, you will probably be paying less than $6.48/serving, and you may have leftovers for lunch. The most trash-producing part of my box was the large ice pack. You can dump the filling into the trash and then recycle the outer plastic, but it is a bummer to me that the filling has to go into the trash. Of course, you can reuse the ice pack, but how many ice packs would one person need? Anyway, a Dinnerly box produces more trash than a bag of groceries would, but less than typical meal kits would. You can read more about Dinnerly’s packaging here. So, I think I generally prefer the meals I make on my own, because they’re usually a little more complicated and interesting. Dinnerly’s meals tend to be more basic than what I’d choose to make. But, the upside of this is that the meals aren’t hard to make! And presumably you’d be ordering from Dinnerly in order to simplify your mealtimes, so I think simple is good. 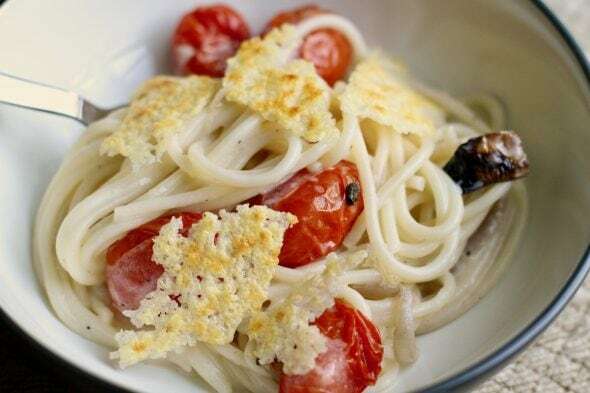 And the meals from Dinnerly do sometimes have interesting components…for instance, the spaghetti dish called for making Parmesan crisps, which I will definitely do again. And the sauce was just mascarpone cheese (which I’d never tried before) and it made a great easy sauce. You can see Dinnerly’s current menu plan right here. …then I think Dinnerly could be very helpful. And if you are a cooking newbie, Dinnerly could help you gain some skills which will help you become independent in the kitchen to the point where you might not need a meal kit service so much. And that’ll definitely save you money! Dinnerly offered to give four randomly chosen Frugal Girl readers a gift of a free two-person Dinnerly box! To enter, leave a comment letting me know why you’d love a Dinnerly box. NO PURCHASE NECESSARY. Void where prohibited. Odds of winning depend up on the number of entrants. Winners will be contacted via email address left in comment form. If winners do not respond within a week, a replacement winner will be chosen at random. « What I Spent, What We Ate | Only one more week in September! I would love to win…we are in the busy season of after school activities and this would be a time saver for sure! I ordered Dinnerly but canceled the order the same evening, immediately afterwards, because I found another place online to order from. They sent the food the next week and charged me anyways. I emailed the company and they refused to credit my account. I’m filling a dispute for 98$ I was charged. I had already ordered from the other website and couldn’t possibly eat nine meals in one week. Food wasted. Money wasted. Time wasted. I’m due to have my second baby in 2 weeks and would love to have a Dinnerly box for the crazy newborn days to come! We’re just about to move and would love to avoid takeout during the craziness! We are stuck in a rut so a box with different ideas from Dinnerly would be most welcome! My son has recently moved out on his own & I would gift this box to him to help him learn the ropes of cooking from scratch. I would love to be able to try this with my husband for a tastier-than-fast-food date night! I have a picky husband and toddler so dinnerly might help expand their palates a bit. I’d love to try a meal service program like Dinnerly. Seems like a fun and easy way to try new recipes and ingredients. I’d like to try Dinerly because you hit on three things that I did not like about Blue Apron and Hello Fresh. Options..I’m picky so out of the meals we’ve gotten before I probably only ate 1 of the three. Simple…the other services required MUCH more time than I have during the week and there were so many pans and bowls used. Clean up was horrible! Portions…my husband is a big guy (not heavy just tall and beefy!) he needs a lot to be full. I made myself try every meal but if I didn’t like it he would eat it…even eating both portions left him unsatisfied. I’m not a beginner in the kitchen but I prefer simple, especially on school nights. I’d be interested to see how Dinnerly works as a once in a while treat. We love to try new things. While I meal plan, we definitely don’t have a ton of variety. Busy weeknights with 3 kiddos. Would love to try Dinnerly. My husband is out of town during the week and our daughter has lots of activities. It would be great to have one less thing to think about! I have always wanted to try one of these for my husband and I to make for a fun date night but never could justify the cost. Thanks for the honest review of the service. It answered all the things I was curious about. I sometimes suffer from “menu fatigue” and this would give me a break from the “what sounds good for dinner!!!! Thanks!!!! Would love to learn some easier meals to help with our crazy ‘get back into school’ routine. Mentally we’re still in summer mode! My mother passed away last week. A box kit with simple recipes of pre measured ingredients that my husband or kids could make would be really helpful. I usually do most of the cooking, and not having to worry about getting a meal on the table every night would make things easier during this sad and stressful time. I am terrible at grocery shopping and meal planning. Dinnerly would be a perfect easy dinner solution! Sounds like me in that short list towards the bottom; would be interested in trying this box out! I’d like a Dinnerly box to share with my college-aged child who’s just learning how to cook for himself. Variety and vegetables are sorely lacking in his current culinary repertoire. Thanks for the opportunity to win! I have not tried meal service and am a working mom with two young kids. This would be perfect for my 14 year old to try to make alone. I’ve never tried one of those meal box things, so I’d definitely be interested in giving it a whirl. Variety is always nice, and I tend to make a lot of the same things over and over in order to save time. I am bored with just about everything in my current dinner rotation, so I’d love to get some new ideas from Dinnerly. I hate cooking, maybe this would help my kids learn to cook because I am not a good teacher in this area. 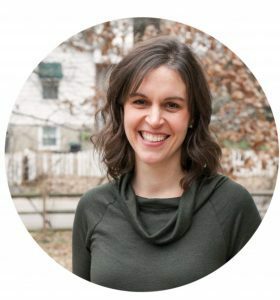 Thanks for this post and the opportunity, Kristen! I’ve never gotten a food delivery so it would be fun! I’d like to jump into this *dinner on my doorstep* craze but can’t justify the cost. Maybe a free box would sell me on the idea. We are finally empty nesters and this would be a great time to try this. I travel for work. This would be perfect for the weeks when I only have a few days home and do not want to shop! My daughter just moved to a new city to start a new job & I would gift this box to her to help her with the transition. I have been interested in trying this and having the opportunity to get a free box to try would be GREAT! It’s the busy season at work, so I could use some help with the grocery shopping! Would love to enjoy Dinnerly with my non-cooking daughter in the hope it might encourage her to cook more! I’d love to win a box! I can cook and have a large family but it’s nice to change things up a bit with dinner. It would be so nice to mix-up our usual dinner rotation! Trying Dinnerly would be fun and new! I have used and mostly like dinnerly, but my last 2 boxes have lacked many of the required ingredients. Would love to try some new recipes. So cool! I love that they use less packaging and have a lower price. At first, I was tempted to get it, but given that we cook mostly Asian food, I’d probably like to have others get their chance at the getaway. The food looks tasty though! Being at the stage of life where we don’t consume massive amounts of food it would be interesting to try proportioned servings from Dinnerly. I usually end up cooking way to much then we eat it forever or eat several meals & I freeze the rest. I’d love to try a box to help us avoid takeout on a busy night! We currently receive home chef, I would love to try a cheaper option. Many reason I would like to try this product. I am “stuck in a rut” when it comes to dinner ideas. We are moving soon & this would help with meal planning. Have always want to try a service like this but wasn’t sure if it was really worth it. Thanks for the Give A Way !! Would love to give this a try! Soccer keeps us busy during the week AND on the weekends, so quick meals would be awesome! I would love to be entered in the give away. I recently tried Blue Apron and while I loved the food, the price point was just too expensive. I’m interested in trying Dinnerly and think the lower price point is fantastic! I’d love to try Dinnerly because I’ve never tried anything like it before. Dinner being delivered without me having to shop for it sounds wonderful! We’ve hit a rut with meals lately, and having someone else choose the menu and deliver the ingredients to my house sounds heavenly! I cook every night and work a full-time job. Hubby drives 2 hours each way and I drive 1 hour. I think it would help making dinner easier after a long day at work. Plus, I wouldn’t have to come up with – “what to make for dinner”. LOL. I don’t think I could use this, as I am currently still eating gluten-free, but this sounds like a better deal than those other meal kits. I’ll keep cooking at home, as that’s still by far the most frugal option for us. Like others, I love to cook but sometimes have menu fatigue. I have a Pinterest board with hundreds of recipes but still struggle with what to make for dinner some nights! I would love to try this! Sometimes I get in a rut, and it would be great to try something new. I would love to try this out–I am in a cooking rut! I am curious about Dinnerly. I would love to try this service. I’d love a dinnerly box. It’s just my husband and I so a 2 person box would be just right for us and I have the option of something quick to cook on a night when my husband is late coming home and I’m out of work on medical leave. This seems like a good way to find some new easier recipes we might add to our rotation. The cost of the boxes is what has kept me from trying any so far. I’d love a Dinnerly box b/c I’ve always wanted to try a delivery service but haven’t pulled the trigger. Dinnerly’s level of difficulty seems right about my pace- thank you! My household recently downsized from five to three (with our two biggest eaters, college boys, returning to school) and it would be a fun break from my normal cooking routine. I think the two-portion box would feed us fine since I’m not a big eater and my daughter isn’t either. My husband just started back to school, my oldest just started kindergarten, my youngest just started all day pre-k, and I am teaching a full load of classes. I’m exhausted and not creative and need some help figuring out what to cook. Hi, I would like to try the Dinnerly box for my two teenage sons. I have some late nights at work and this might be a good option for them to make dinner on their own and maybe gain some confidence in the kitchen. Right now their dinner rotation consists exactly of sandwiches, scrambled eggs, frozen waffles, and instant ramen soups! My daughter is just getting started with cooking and it would be great to give her a chance with some simpler recipes. I would like to try because I never tried any food delivering service before! This would be a great thing to try for my family of 3 that is sometimes rushed for meal prep/planning time. In terms of your question of how many icepacks does one person need, I found that our freecycle group had a HUGE appetite for icepacks, and I could always get rid of them when using a different product that sent them. Oh, interesting! I’ll have to try that next time I have ice packs. I would love to give Dinnerly a try. I am moving from a 6 person household to a 2 person and really need to cut down on how much I cook. This would help me downsize. I would love to get some new meal ideas. I would love to try this. Cooking for two is SO hard after cooking for family for years, and takeout gets old (and expensive!). My husband would love me if food were delivered to our door, and I cooked it up for him. Ha! Would love a box to try it out. I’m about to start painting most of my house, and I think I will need some hacks to prevent pizza delivery. This would be perfect! I always have 1 to 2 crazy weeks out of the month. I’m desperately trying not to do take out or eat out in restaurants so Dinnerly would definitely be a great answer to this problem! We are training for a north Rim to South Rim Grand Canyon hike, which means walking every day, hiking out of town every weekend. Its just my darling husband and I; winning a Dinnerly box would be such a timesaver for me! Thanks for offering this giveaway! We are empty-nesters and this looks like something fun to try! My 12 year old loves to learn about cooking, and does some already. I’d give him the reins if I won a Dinnerly box, though, which he’d be very excited about. Thanks for the giveaway chance! Although I can meal plan and cook with the best of them, Hubby and I are verrrry close to being empty nesters and once that gets going, we will want to spend less time cooking and more time enjoying life. So a subscription meal service just might be in my future! Thanks for the great giveaway! We are about to become empty nesters so I would love to try a meal service for 2! I am impressed by the responsible packaging of this company. I have tried a competitor and got caught in the weekly subscription trap. This would be a nice way to sample the product with no pressure. I would love to try this. I live alone, so meals that would be good for one with leftovers sound perfect! I live in a two person household, with changing schedules, so an easy dinner plan sounds great! We are newly empty nested and learning to cook for two again. Thank you for the info and the opportunity! I’m retired now and, while I have more time to cook, the rest of my family isn’t retired and I never know when everyone will be home for dinner:). Dinnerly would help me manage our smaller budget and enable me to get a great dinner ready, efficiently:)! Wow! I would enjoy trying something new in the kitchen, as my skills are a bit primitive. Forcing vegetables into the house is also a good move, as we don’t eat as many as is healthy. I would love to try a box! My husband and I are both good cooks, but we struggle with coming up with quick, healthy meals during the work week. This looks like it could give us some new ideas! I think this would be ideal for myself and son when my husband is out of town. I am sure he would enjoy cooking like this! This would be great for my husband and I! We love cooking together and trying new things, but we have a hard time planning in advance and getting everything we need for a new recipe. Hello! Thank you for the post!!! I would love to try Dinnerly and get a free box! 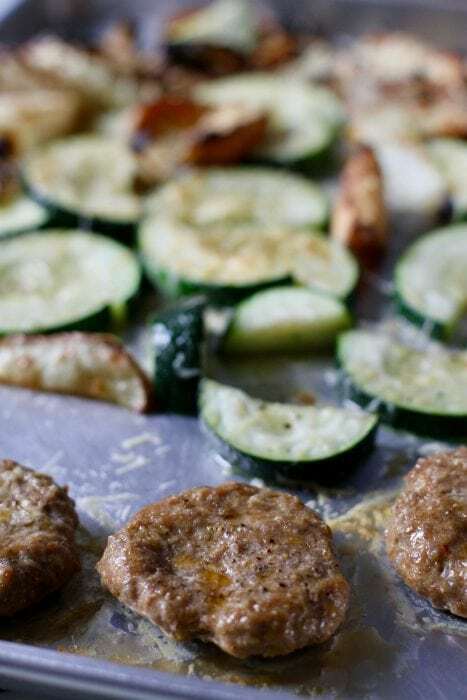 Right now my fiance and I are working overtime every single day and we’ve been talking about trying something like Dinnerly for an easy quick dinner fix. I’d love to be put in the drawing for a free box, thank you! I would love to try this. I love to try new recipes! Thanks! I’ve been on the fence about trying them once they expanded to my area. I like using a subscription box on occasion to get new recipe ideas when I’m feeling uninspired. I’ve been wanting to try one of these services so this would be great to win! They don’t deliver to my state but I do EveryPlate. They are the same price. I am homebound so this works out great. I’ve learned a lot about seasoning foods and it’s right at my door to try. I’d love a free box because I’ve been patiently waiting to try Dinnerly- we’re an army family and about to move to North Carolina, where they deliver, after being in a state that Dinnerly doesn’t cover yet. I’d love a dinnerly box because I am curious. Thanks for doing a giveaway! Ive never tried any food delivery! And I feel like my dinner menu gets boring very fast! It would be fun to try! All the comments are great for reminding me that we are all managing something. Early fall is busy for me with teaching responsibilities (semester getting started….). Would love to give this a whirl. 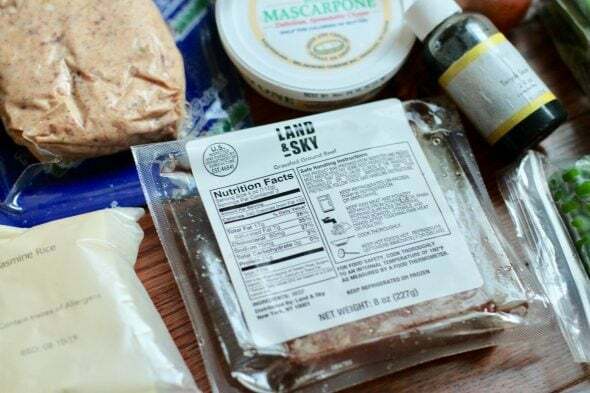 I’ve considered trying a subscription dinner box for awhile but haven’t done it. This would be an awesome way to try something new. I use HelloFresh every week and am happy with it, but it’s expensive. I’d love to try Dinnerly and see if it would work for us. I’m always on the lookout for simple recipes since I like most of my food to be simpler and taste like itself. I think this would be a good way to try out some new recipes for me. Kristen, it was interesting to see that your great photos were almost outnumbered by the Martha Steward meal service adds in this post! Not a criticism at all, just a commentary on the algorithms used for marketing!! I would be interested in trying a service to see if it makes me enjoy cooking more than I do now. Oh, that’s funny! I seem to remember hearing that Dinnerly was somehow related to Martha Stewart’s empire, which, if that’s true, would make this even funnier. I’m r e-learning how to cook for my husband and myself vs all the kids..i don’t need all the leftovers! I would love to try Dinnerly because we are a small family of 3 with two working adults and the temptation to eat out or eat completely junk food dinners (sugary cereal, I’m looking at you) is a daily right. Having the prep done would make it so much easier to eat better meals at home! It’s always fun to try new things! Plus meal planning isn’t my favorite thing to do. It might be nice for someone else to decide what I make! I’m curious to try Dinnerly. We just transitioned our kids to homeschooling and I’m struggling to get dinner on the table after a long day of schoolwork! 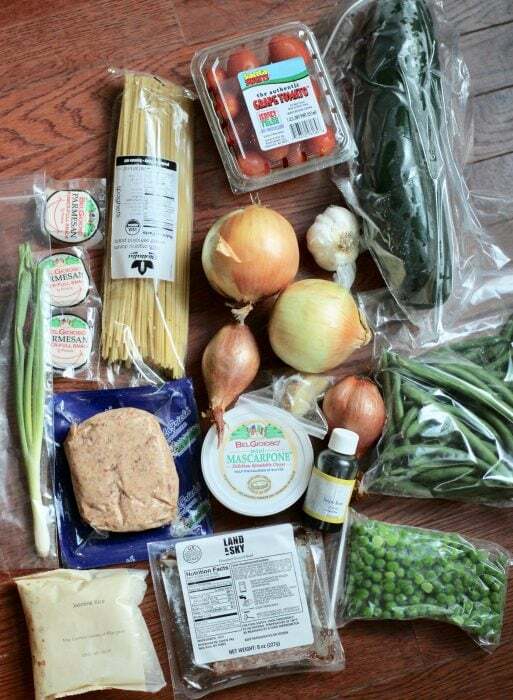 I am a big believer in “try before you buy”, so would be awesome to win a Dinnerly box. I have two teens who come home from school hours before we get back from work, and I think it would empower them to try to cook their own meals. Thank you for the chance to win! I’m single and it’s HARD to not waste food! I’ve done other boxes before, and it works great, but they’re so expensive!!! This sounds like fun and would be a low stress way of trying a few new recipes. I enjoy cooking though sometimes would enjoy a break from the meal planning, grocery shopping, & food prepping in order to get meals on the table. Sometimes learning new, simpler techniques can increase ones cooking repertoire as well as having a nice set of simple, nutritious meals in ones’ recipe box on the ready is a huge plus! I would LOVE to try Dinnerly because we are semi-empty nesters (child living at home going to college) and this would save time on meal prep with our different schedules. I also LOVE that they are finally delivering to Tennessee. I would love to try a box to see if it is something my daughter and husband would like to try in the evenings instead of eating out. Dinnerly is cheaper than marriage counseling. My husband could learn to cook without my assistance! It’s an issue here. I love cooking, but I do get annoyed that I’m the only cook! He does clean up well though!! I can always use help in the kitchen!! I’m finishing up nurse midwifery school and anything that would simplify an aspect of my life would be so appreciated. Have never tried I before but would love to try it. I would love to try Dinnerly for some new recipes. I tend to make the same meals over and over. I’ve been debating ordering this based on your past recommendation. At the season I’m in now, I basically only cook on the weekends. This would be a nice change of pace to the repeat meals we eat during the week – I basically cook everything for the week on Sunday! My daughter has been asking to try one of these services! 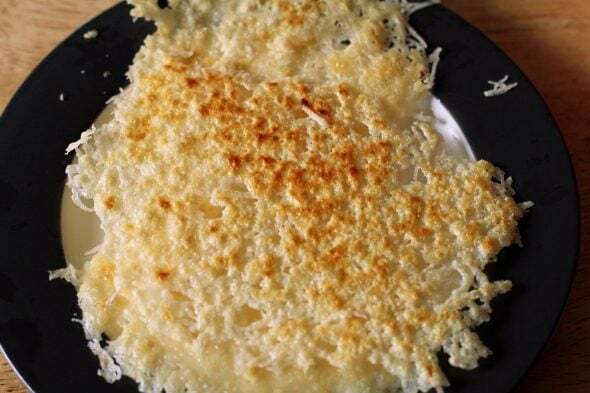 How do you make the Parmesan crisps? We bought some called Whispa at Costco, but even on sale they were ridiculously expensive! For this version, you grease a baking sheet, spread the Parmesan in a thin layer (in circles), and bake until the cheese is crisped. I know sometimes people do it in a pan on the stove as well. Id love to try a Dinnerly box because my kids have been asking to help cook and I think this would be a great way to foster that. Thanks! I’m not a very good cook because I’m out of practice (my husband happily does all of the cooking!). However, I would like to get back to cooking, and a Dinnerly box would be a good way to start. I think Dinnerly would be a great way to get my daughter in the kitchen with me! I have a hard time with that. Dinnerly doesn’t deliver in my state (South Carolina) so if I win, I’ll give it to my parents! We are in a crazy season of soccer almost every day with my 14-year-old twins, as well as my daughter volunteering at a horse therapy barn! I would love to avoid getting take-out with simple meals that any of the kids could prepare on their own! I’d love to try it since I just moved to D.C. and am still learning to balance my new life! I’d love to give this a try! Thank you. We drive my daughter to university every day and some days we get home late. I am tired and the last thing I want to do is think what to do for dinner. Dinnerly would be a treat. I’d like to try it because I am single and always overbuy, plus, I’m tired of looking for new things to make. I’m trying to learn to cook and I think these meals would be easy enough for me to manage and also teach me so I can feel more confident trying new recipes on my own. I would love to give this a try. Thank you for offering us the chance to win! I have always wanted to try this; but was afraid that the food wouldn’t taste as promised or that my family wouldn’t like it. Would love, love, love to try this! Thanks. Just need to switch things up a bit! I would love a Dinnerly subscription because I’ve actually just started researching subscription meal services! After being in grad school for a couple years, (with a very flexible schedule) I’ve got a new full-time job, but I’m finding it super hard to find time to grocery shop…so now my husband and I have takeout at least once a week…whereas I know I’d cook if I already had ingredients. I’d love to try some new recipes! We’ve never done a subscription service before… maybe this would win me over. I would love to try Dinnerly! I’ve been struggling lately to menu-plan, and it would be nice to have a few nights off from that! I’d like it because I don’t like to cook much but my daughter wishes we did! I’ve been thinking about convincing my husband to spend time cooking with me, so I think this would be a perfect way for him to try it out! I would love to try Dinnerly because we are now empty Nester! DS#1 moved out and DS#2 is away at college. I need to relearn how to make smaller amounts! I bet that’s a big adjustment! Congrats on this new phase of your life, though. I’m always looking for more simplicity in my life being themom of a 1 year old and Work full time. It would allow me to not stress about what to make for dinner !! I’d love to try this since we are in a busy season for sure! I’d love to try Dinnerly because my kids are so busy with sports and dance. It’s hard to find time for shopping and meal planning. I’d like to try it because I like trying new things. We are in a busy season of job changes and homeschooling. Sounds like my husband, a non-cool, could make these dishes. I would love to win one because I am pregnant and have two preschoolers and anything that lets me think less about food is a plus right now! I have four children; one of whom is 8 weeks old. Simple sounds like my philosophy right about now. It would be neat to try this out since I have never used a dinner kit before . I would love, love, love to win a Dinnerly box for me & my 14 year old son to try out. I’m teaching him to cook & since they seem to be easy recipes it would be perfect! I would love to try Dinnerly. I can cook but I would love to try new recipes, new ingredients, etc. Our meals tend to be complicated & time-consuming OR scrambled eggs & toast. I think Dinnerly would help me learn to cook in the middle-ground: real recipes but not crazy time-consuming. Thanks for sharing about them! I would love to try this as I am a working single mom. Have been curious about these services . I’m back to working full time and would love some help. Just finished working 14 long days at the fair!! I could use the Dinnerly box as a nice break!! My kids and I eat without my husband 4 days of the week. I’d love this to make dinner easy! I’d love a dinnerly because I’m just learning how to cook and am having a lot of trouble learning how to shop for the recipes I want to make without ending up with a LOT of food waste. I would love to try a box. Funny thing…my husband is a CIA trained chef, but he is at the restaurant every night. I work, have one kiddo in college, and one that works full time on a ranch. We would be very willing to try an easy dinner at home. Even though I am very capable of cooking, it often doesn’t happen at the end of a long day. It is super busy now with school. A kit would feel like a homework pass for the kitchen! I just started back to work after our last child left for college, and meal planning has taken a hit! Would love to try a meal service! I’ve had my fourth ankle surgery and am still non weight bearing. This would be perfect for my 13 year old daughter, who enjoys cooking, to make with some supervision while I continue to recuperate. I would love to try Dinnerly! I have two small little ones and dinner time is very hectic! The other services are too expensive for my family so it would be nice to try one that’s on the cheaper side. Thanks!! This is something I probably wouldn’t spring for, but would sure be fun to try! Pick me, pick me!!!!! For no other reason then I would like to try Dinnerly!! My husband and I have just become semi-empty nesters (as our youngest has recently left for college) and our oldest moved out. I’m struggling with cooking for just the two of us. Would love to try Dinnerly. I have always been intrigued by theses services do it would be fun to try. I’d love to win this, just for a change of pace from our “normal” meals and maybe to learn something new! This would be fun to try! Fall school schedule makes life crazy! My husband does all our cooking so it would be nice to give him a break! Single working mom who is in a dinner rut. I would love to win! I love to cook and enjoy trying new recipes, so subscription meal boxes are one of my favorites. I haven’t tried this one yet, so I’d be thrilled to get the chance to do that. I’m really curious to try one of these services… I can cook but after all day with the kids and homeschooling, I just don’t feel like it!! So this would take a bit of the load off… at least in terms of the creativity; I’ve been in a creativity slump lately with our meals! I’d love to try some different recipes with Dinnerly! I would love to give this to my son who graduated from collage and is now out in the working world. After more than 50 years of making dinners, cooking has lost its charm. I’m tired of making the same 30 or so meals and too tired to search out new recipes — or especially buy all the spices it might entail to only use once. This sounds like a good way to bring back some joy into the process. I surely don’t want unaffordable plans with complicated gourmet meals. Six ingredients and coming up with things like banh mi burgers and Harissa seasoned chicken is gourmet enough for me! I cook and deliver my mom’s meals due to her health. She never wants to ask for a dish that requires a lot of work on my part, so I think this will be fun to have my mom pick out some meals that ar delivered to her house and we can chat and she can help open packages during meal preparation. Glad to see there’s an option with less packaging and for less money as well! I’m in Canada where they don’t deliver, so good luck to the rest of you all! I’d like a mini vacation from menu designing. Simple is easy. And I like simple. Because I’m tired and letting someone do the planning of dinner for me would be fantastic! I meal plan and cook every night. What a wonderful break a Dinnerly box would be! As a senior who has cooked many meals in her lifetime, I would like a little break of not having to think ahead and plan. Dinnerly would be a nice little vacation for me. I would love to win a box! I am a busy high school teacher, my husband is currently starting a business (so he’s in and out and always busy), and we have a 1.5 year old daughter. This would be perfect to claim some time back for ourselves, since it is few and far between. I’m not a very confident cook yet, so I would love something like this. I would love to cook this with my teen daughter. It would be a fun way to teach her some cooking skills. I would love to have a meal kit. That would make a great start to a date-night at home. Thanks for the opportunity to enter. I would love to win a box! My boyfriend and I love cooking together and this would add some extra fun to the experience! I’ve tried Blue Apron and Hello Fresh but sometimes the recipes are a little involved for a weeknight. I would like to try Dinnerly for the ease and convenience. We’re in the middle of flipping a house. The temptation to grab takeout at the end of a long day is strong. So far, I have packed lunches most days, and we’ve eaten dinner out once a month. But we’re far from finished and I feel my resolve weakening. This might be a fun alternative to try. DH and I both have some significant medical stuff going on, so this would be helpful. Plus Parmesan Crisps sound like a must try! Thanks for the review. I would love to win. We are getting ready to move (Atlanta to Indianapolis), and I’m dreading those last couple of weeks when you don’t want to buy much in the way of groceries..and most of the kitchen is packed. I’d love this because life is pretty crazy right now, so meal planning hasn’t been happening like it should. I’ve tried out Blue Apron before, which was fun, but very expensive! So I’d love to try out Dinnerly. I’d love to try Dinnerly just for some new ideas for meals and convenience on busy school nights! I’d love to try because I end up making the same stuff over and over every week! My family would love some variety. I have been known to be a not so great of a cook. Either I forget stuff or cut myself ‍♀️ After 20 years of marriage I would love to be able to make a meal (or three) for my well deserving husband. Trying to eat healthier so a have a long life ahead with our girls! I’d love to give my kids a chance to cook with Dinnerly! The simple recipes will be perfect for them. Our household size was just reduced from four to two. The two big appetites have moved to their own place. The two of us remaining are light eaters and very busy with a remodeling project. This service sounds great for quick homemade meals to keep us from eating carry out! I would love to win because with just me, sometimes the dishes I grew up with leave a lot of leftovers and seem overwhelming. I would love to win because I am in the biggest rut coming up with new dinner ideas and as dh and I have recently had health issues that required a complete change of eating lifestyle, I am feeling overwhelmed with ingredients and portion size. My husband is in charge of cooking at our house, but I would happily cook a Dinnerly box and give him a break! I’d love to try this for our busy soccer nights! It would make a few weeknight meals easier! Thanks for this great opportunity! Dinerly seems like a great alternative to eating out in this busy fall season. My nest suddenly became very empty. While I figure my life out, this would help me. Thanks, Kristen and Dinnerly! My husband is supposed to cook while I’m in a busy season at work, but I’ve yet to train him to do it regularly. This could help us both eat healthier and save money. I would love to win because I am not good at cooking! I’ve never tried a meal subscription service…I’d love to try Dinnerly! 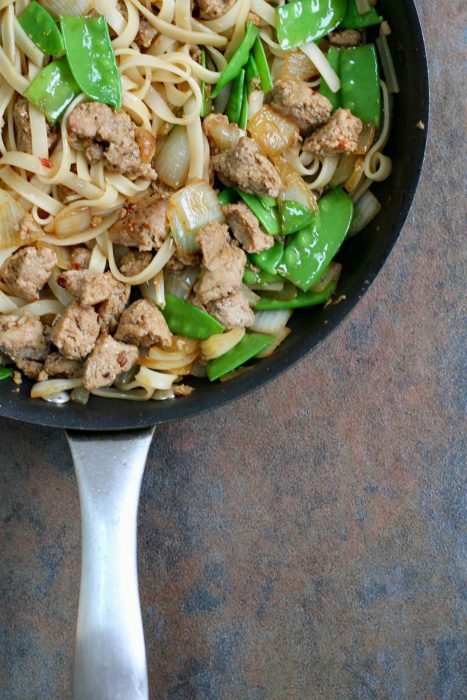 It would be great to have some quick meals to make for the crazy school nights. I have never tried to meal service before! I’m not even in the Dinnerly area, Montana, so the give away doesn’t apply to me. I can generally feed my family of four, which eats like 6, for between $12 – $15 a dinner. We are ranchers so we butcher our own beef — for the win! Organic, grass fed, all natural beef… and we KNOW it! That saves a lot of money. I still can’t justify purchasing these meals, but the variety is so interesting. Me please! May be perfect for when I travel and hubby is on his own for dinner duty. A friend of mine has recommended this and I’d like an excuse to give it a try. Would be fun to try this out! My cousin and I were just discussing meal services. I fall into the category of people you wouldn’t recommend it to and I probably wouldn’t subscribe but it would be fun to try. I may gift a subscription as a wedding gift!! I would have loved something like this because I could NOT cook at all when I got married. I’ve always wanted to try a meal service! I would love to try. Have tried other to no success. We are a working family with sports and extra jobs and activities. Thank you!! I hope giveaway isn’t over, cause I’d love to try this out! I get home from work and usually have to stop at the store to get what I need for dinner and then scramble to it on the table in time. This way, I would know I had exactly what I needed beforehand! I’d love to try this out if the giveaway isn’t over! I’d LOVE for my daughter to try these ! She is a special needs young adult who lives with me, and is learning how to cook. I tried Hello Chef last winter during a cold snap, and while we did like it, it was just too expensive to keep up. My daughter keeps asking for me to bring the meal kits back though. I know she’d be thrilled with a new meal service and We would love to try Dinnerly! Aww, I think this is such a sweet use of a meal service box, and I love that she’s asking for another meal kit! The week to week menu options seem extremely limited. I don’t want vegetarian meals for dinner and it seems like I MUST have a couple of vegetarian meals in my weekly pack and some of the options are things I wouldn’t actually eat so out of a 5 meal kit, I’ll probably only have one or two of them leaving meals wasted. Also I can’t pick my meals until after I’ve paid which is definitely something I’m not prepared to do. Has anyone else found this or have I completely got the wrong idea?